The Bahria Town rampage which claimed the lives of two people, wounded around 150 and left a dozen people paralyzed for life, finally came into the limelight after the Chief Justice of Pakistan took suo-moto notice of the incident. The sad incident happened on the 28th of April while ARY, a private News TV Channel, and Bahria Town were recording a show for the coming Ramadan, at which point the stage fell onto the audience leaving many trapped underneath. What was worse was the fact that the administration of Bahria Town quickly switched off the lights in order to stop people from making videos of the incident. This foolish step actually created panic among the people present and resulted in a stampede in which many people were badly wounded. If sources are to be believed then the number of causalities is higher than what has been discovered upto now. A pregnant woman’s injuries in the incident resulted in a miscarriage and left both her legs paralyzed for life, a lady lost her life and there are numerous other stories like this still to be told. It was shocking that not even a single TV channel or publication initially ran or published any story, it actually being social media through which the public came to know about this terrible incident. 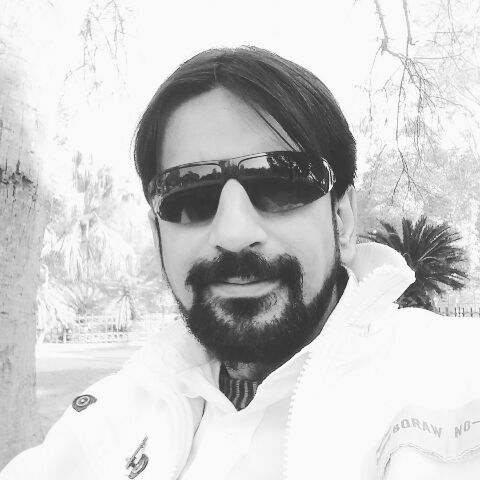 A survivor from the incident uploaded a video clip that went viral on social media bringing criticism from the public both on the media houses and Bahria Town. After social media buzzed with the news of this incident the media houses eventually submitted to the pressure of the public and gave minor coverage to the incident. Upto now no police report, FIR, has been lodged against Bahria Town and ARY TV channel as both organizations belong to influential people. Bahria Town is owned by Malik Riaz, a real estate tycoon and one of Pakistan’s most influential people. The ARY news network is owned by Salman Iqbal who, besides running the TV channel also runs a chain of different business including gold trading. This act of the mainstream media, blacking out the event, showed how it protects its vested interests and actually only cares about revenue. Such is the pressure of Malik Riaz that even now media houses are only discussing it in a very cautious way as Riaz gives millions of rupees business to the TV channels and publications. So no one can afford to displease Riaz as it can result in losing millions of rupees advertising revenue earned through Malik’s housing schemes. On the other hand the ARY news network who round the clock run a malicious campaign against the incumbent government on the allegations of corruption and morals, did not even bother to telecast or issue an apology for the incident. Victims of the incident who tried to lodge an FIR with police were threatened and pressurized to take their complaint back and, when a few of the victims refused to bow to pressure the police refused to register the FIR, law enforcement agencies showing hesitation nominating Bahria Town and ARY in the FIR. The chief justice of Pakistan Milan Saqib Nisar took the suo-moto notice and at least the print media is now giving a good amount of coverage to the event. Had there been no involvement of Malik Riaz’s housing scheme, the rival TV channels of ARY News should have made a fuss out of this incident. So this actually points to the power, influence and authority Malik Riaz enjoys in the country. No one in the law enforcement agencies or government can even dare to think about touching him. How he became an untouchable person is an interesting story that also points out our collective mentality of being submissive to the riches and our nature of accepting the illegal activities to fulfil our own desires and needs sacrificing all ethics and morals but expecting others to be ethical and moral. Malik Riaz was a white collar man who was trying to meet his daily needs by doing different kinds of work. It was in 1979 when Riaz took a loan of 14 thousand rupees from his friend and earned a small contract in the military engineering complex. This was actually was the beginning of the largest Pakistani real estate empire. At that time Malik Riaz was a lower middle class man who even was not able to get his daughter treated in hospital and had to sell his wife’s jewellery to get her treated. Riaz suffered from poverty and, knowing that being poor in this unjust society was a crime, he went through the pain of watching his children, striving to get three meals a day. So he learnt the lesson that this society only salutes and respects the rich. With the first small contract he started building relations in the civil and military construction departments. Gradually he started to construct houses for the movers and shakers and finally came up with the idea of building a housing society that can now easily be termed as one of the most luxurious and largest housing schemes in Pakistan. Malik Riaz, with the help of money and connections, used the name of the Pakistan Navy for his housing society, though they filed a case against him for using their name but not even a single judge was able to pass a verdict against Riaz nor stop him from using the Navy’s name. 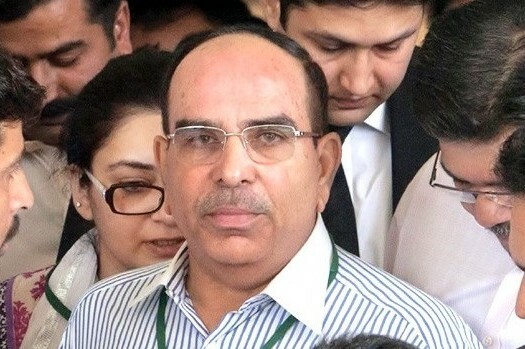 Malik Riaz, with the help of his strong connections in the civil and military establishments, gradually expanded his business. With the help of criminals and gangsters like Taji Khokhar, Bari Malik and Zafar Supari he grabbed land from people who were not ready to sell and also bought land all around Pakistan at a much lesser rate. He successfully removed all the legal hindrances coming his way by buying the judges in the courts, officers in the law enforcement agencies and making friends in the establishment. Malik Riaz established the relation of profit and provided perks and privileges to police officers, judges, politicians and a few high officials in the Army. And now, Malik Riaz is considered one of the richest and most influential Pakistanis. Is the success of Malik Riaz morally, ethically or even legally right or wrong? The answer to this question is hidden in our weak, hypocritical and rotten social system. Being a very ordinary contractor who was not able to meet his daily needs, Malik Riaz actually understood the fact that this system is tailor made to exploit the weak and ordinary people, so he himself successfully exploited the system to his advantage and became the most successful real estate tycoon in Pakistan. From asking his friends for loans to not being able to get his daughter treated, Malik Riaz smartly understood and exploited the system, building his fortune, and no one can take this credit away from him. There are thousands of contractors and real estate people in Pakistan but how many of them actually have the ability to build a business empire like Malik Riaz? The other question that needs to be answered is has anyone among Pakistan’s elite built their fortune with honesty and by completely abiding the law or not using the power to their advantage in making large fortunes? The answer is no. From Nawaz Sharif to Mian Mansha and Aqeel Karim Dhedhi to Jahangir Tareen, every one exploited the system to earn a fortune. From the owners of the big media houses to the owners of sugar textile and flour mills, every one exploited and took benefits from the system, so why is Malik Riaz the only one to blame? It is the attitude of society that actually gives birth to people like Malik Riaz. The acceptance of corruption and doing this crime in an individual capacity and exploiting the system according to one’s own ability and position has given birth to a hypocritical society and social system based purely on the urge to gain money, power and benefits at the cost of sacrificing ethics, morals and law. From selling expired and fake medicine, to an office peon getting bribed to get the job done from his boss, to people making money under the table while serving in private offices, every single individual has contributed in creating the culture of accepting corruption and lawlessness. The way Malik Riaz earned his fortune is definitely wrong but this ruthless unjust system does not give many options or equal opportunities to people from the middle class to earn big fortunes, and in fact Malik Riaz has never lied about the wrongs he did, in fact many times during his interviews on the TV channels he indirectly stated that he used the system to his advantage and his oiled his wheels with them and that is why they can never be buried under the table, clearly pointing to his way of getting things done from government institutions acquiring lands for his housing projects. Malik Riaz’s success has actually proven the point that this system is not made to accommodate the common man and only gives space to the shrewd and smart individual who can manipulate and exploit the greed of others by bribing the influential and oppressing the weak. The lectures against corruption and discussions on morals look so fascinating and ideal in the talk shows and writings but has nothing to do with reality. In a society where you have to pay bribe to even get your child’s birth certificate, where you have to use contacts and influence to get admitted to a government hospital for health treatment where even getting a child’s admission to a government school requires either bribery or a phone call from an influential person, where even to get a place for a grave to bury a person needs a bribe or phone call from an influential person; it is actually almost impossible not to surrender to the system by accepting that might is right. So if Malik Riaz, instead of submitting to the system and begging to the influential, decided to exploit the system to his advantage, which most of us also do in an individual capacity according to our ability and position, and as a result became such a powerful man that even the influential and movers and shakers are now in his hands, it is actually not his fault, it is the fault of our collective wisdom and our hypocritical standards and practices. Until and unless we do not respect the law and do not stop disrespecting people on the basis of their social position and we do not stop saluting the people who have big financial or influential positions and do not strive to make a balanced social structure, people like Malik Riaz will be born every now and then. This incident of the stage collapsing will not bring the culprits to law, as no one in any government or private department will go against Malik Riaz. This kind of incident happened a few years ago in Bahria Town Rawalpindi when during a car race event in a few years ago many people were killed when a car lost control and crushed the people watching the race. A FIR report was registered against Mr Malik’s son as he was organizing the event and there were no safety measures taken on his behalf for the protection of the public watching the race. The then Chief Justice Iftikhar Chaudhry, who was famous for his judicial activism, took a suo-moto notice, and even he was not able to do anything to bring Malik’s Son or employees to law. Malik Riaz and his administration of Bahria Town will again go untouched and will not be held accountable for the incident. It happens every time if a criminal and influential person is involved. Mustafa Kanju and Shahrukh Jatoi were spared, the model town massacre still waits for justice, the murderers of the people killed on the 12th of 2007 during the Lawyers’ Movement for restoration of judiciary were not brought to justice. So, surely for a an influential man like Malik Riaz, this case is nothing and he will handle it either by buying the investigators or by giving money to the relatives of the deceased or wounded or by threatening them through his nexus of gangsters. And we, as always, will soon forget this incident within a few days and will keep criticizing Mr Riaz’s lack of character and illegal practices in our social conservations. But it does not matter to Malik Riaz as in the journey of being a man who was once unable to take care of his children properly due to lack of finances to becoming a tycoon on whose charity thousands of people in Pakistan eat three meals daily or get their health treatment free, he has earned enough even for the upcoming generations and has made sure that his upcoming grandsons or their grandsons will not have to suffer the miseries like millions in this country suffer. This is actually an undeniable fact and solid evidence of his success in earning a big fortune resulting in becoming a man beyond the law. Rest the rule of law, abide the law, say no to corruption, and avoid taking a hand in law, are just mere sloganeering to somehow keep the common citizens submissive to this rotten, hierarchical and manipulative social order.